With the advent of the cloud, a new generation of technology has emerged – outsourced services that take advantage of the always-there Internet to do away with on-prem hardware and applications. Email, software, storage, and infrastructure – all of these IT resources have “gone cloud” in the last decade and taken advantage of the hosted services market. Now hosted OpenLDAP is finally an option for IT admins and DevOps engineers too. In order to understand the benefits of a hosted OpenLDAP solution, let’s first take a look at how OpenLDAP came about and some of the challenges IT regularly faces with OpenLDAP. OpenLDAP is the open source LDAP server market share leader. It was created in the late 1990s to work with the LDAP protocol, which was co-created by our advisor Tim Howes, and his colleagues at the University of Michigan. OpenLDAP has historically been an excellent solution for directory services, and has succeeded primarily in more technical environments. IT and DevOps engineers often use OpenLDAP with Linux systems and Linux-based applications. Despite OpenLDAP’s popular use among IT and DevOps engineers, it is not without its challenges. One challenge IT faces with OpenLDAP is that it is much harder to configure and use for Windows systems and applications. It is why most organizations need to end up using two directory services – Microsoft Active Directory® (AD) for their Windows related IT resources and OpenLDAP for Linux systems and applications. Of course, that doesn’t even begin to touch Macs – where neither OpenLDAP or AD excel. Another challenge with OpenLDAP is that it is also difficult to implement, configure, and manage because of its extreme flexibility. That flexibility can be a huge advantage to some, but for most, they just want to leverage the capabilities of authentication rather than building directory services. Simply put, managing and maintaining OpenLDAP yourself is going to require the time and energy of a highly trained IT team member. This reason, above all others, is the reason why so many organizations are looking ahead to hosted LDAP solutions. Directory-as-a-Service® is not only hosted OpenLDAP, it is a platform neutral, cloud directory service that can replace Active Directory. 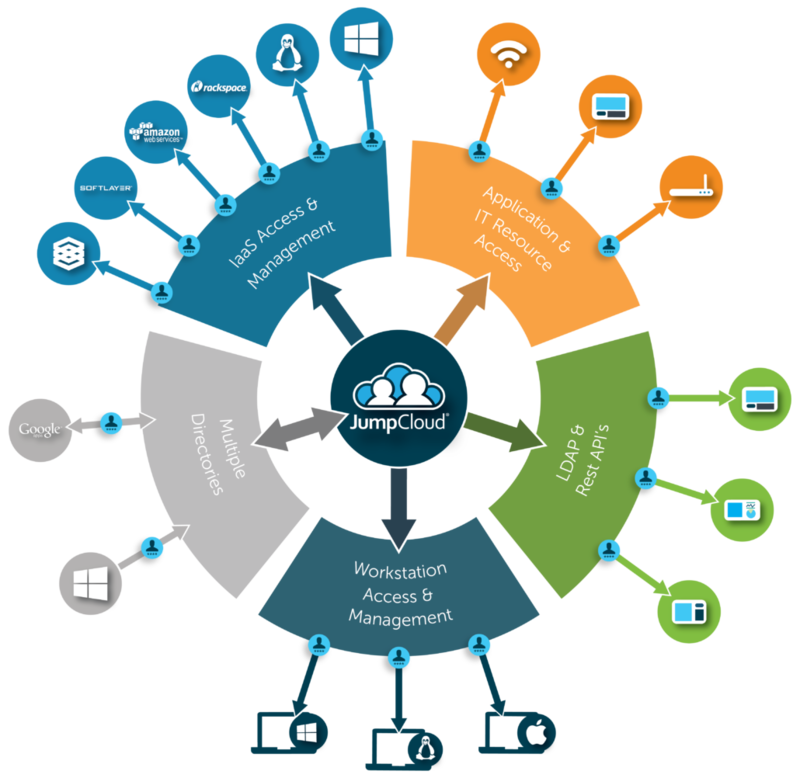 LDAP-as-a-Service is one of the core capabilities of the JumpCloud platform. LDAP-as-a-Service provides a standard approach to LDAP for applications. IT admins can simply point their applications such as OpenVPN, MySQL, Docker, Jenkins, and much more to the virtual LDAP service and they’re ready to authenticate with LDAP. That means, IT admins and DevOps engineers get to skip the heavy lifting of managing and maintaining OpenLDAP and instead just get to use the functionality. You only pay for what you use and there is no equipment to purchase. 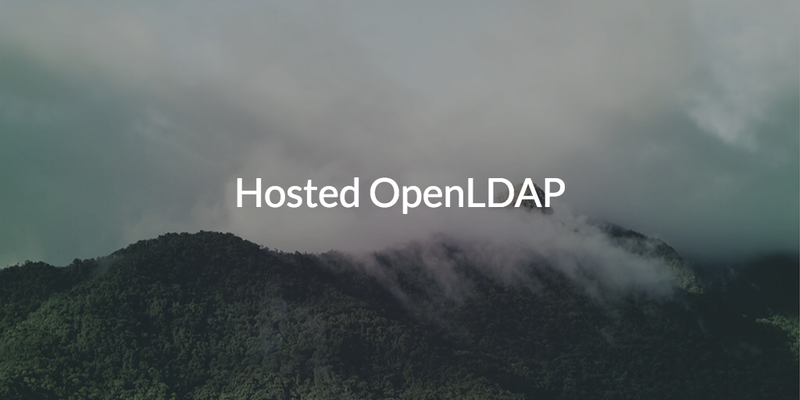 hosted OpenLDAP is an excellent way to leverage the functionality of OpenLDAP without taking the time to implement it yourself. Directory-as-a-Service’s multi-protocol approach optimizes authentication, authorization, and access to a wide variety of resources: web-based and on-prem applications; Mac, Linux and Windows systems; WiFi networks; and remote servers. IT admins maintain widespread visibility over their environment and users gain frictionless access to all of the resources they need. For a more technical demonstration of how our LDAP-as-a-Service works, please consider watching the whiteboard video below. If you would like to learn more about implementing hosted OpenLDAP in your environment, drop us a note. You are also encouraged to try our virtual LDAP service by signing up for a free account. Your first ten users are free forever.